Slice the onion in half and mince one half of the onion. Heat oil in a small saucepan over medium high. Add 2/3 of the minced jalapeno peppers and grate the remaining ½ of the onion into the pan. Cook while stirring occasionally for about 3-5 minutes or until tender. Add the heavy cream, Monterey jack cheese, and white cheddar cheese. Stir until the cheese has melted and the mixture is smooth. To make the pico de gallo: In a medium bowl combine the minced onion, tomato, ½ tablespoon cilantro and remaining jalapeno. 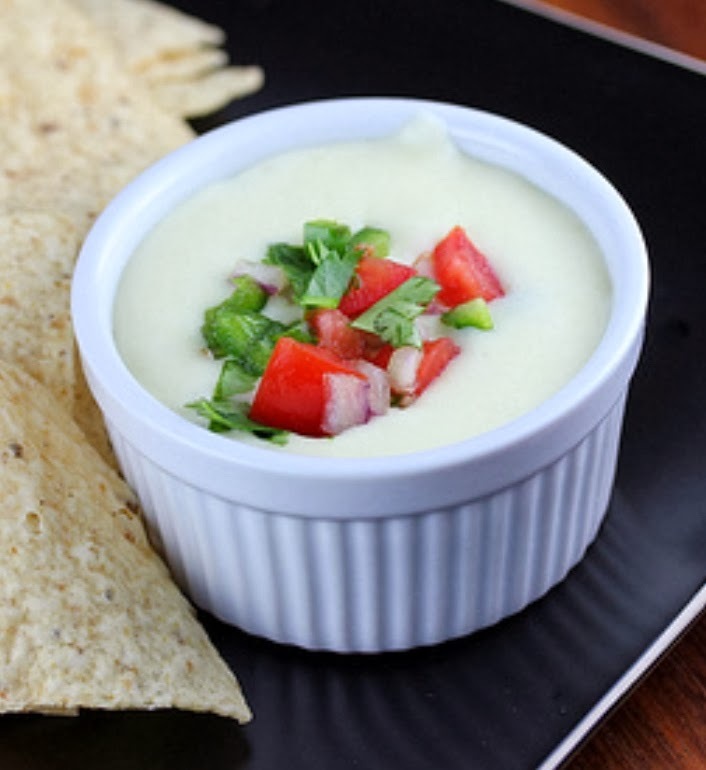 Pour the queso dip into a medium sized serving bowl and top with pico de gallo.